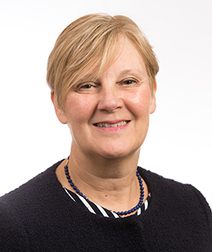 Sue has been a committee member for STEP Yorkshire (Society of Trust and Estate Practitioners) for many years and is currently Branch Chair of STEP Yorkshire, with a membership of 455 qualified members (TEPs), affiliates and students. STEP members work with families and individuals and may advise on matters of a legal, tax or financial nature. STEP works with governments and regulatory authorities world-wide to examine the likely impact of proposed changes in legislation. Sue is both a Chartered Accountant, having qualified with PwC in Leeds, and a Chartered Fellow of the Securities Institute (Chartered FCSI) and specialises in providing discretionary investment advice to individuals, families, pension funds, trusts and charitable organisations.